SKU: D7P68A. 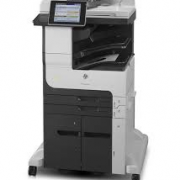 Category: HP Laser MFP. HP LaserJet M80z with Stapler/Stacker is an easy to use, wide-format (11″x17″) high volume A3 MFP a demanding business can count on. Enjoy print, copy, scan, fax, digital sending functions from one reliable, heavy duty, cost-effective all-in-oe device. As a high volume multifuntion printer design for large enterprise, it ships standard with two 500-sheets trays for for large volume of input capacity, Stapler/stacker, and is expendable to 3,500 sheet with optional trays. This reduces the frequency of reloading paper and so inprove productivity. 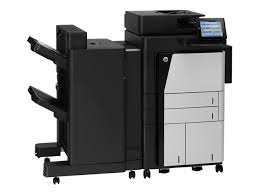 The M830z MFP is not just a regular MFP, it comes standard with send-to-e-mail and send-to-network-folder capabilities, including LDAP and address book support. The super fast scanner let you scan up to 70 pages per minites. To reduce informaiton breasch, it inlcudes capabilities that better secure the device, protect critical information, and simplify the way you manage and maintain your environment. 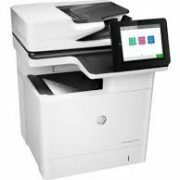 Be the first to review “HP LaserJet Enterprise flow M830z MFP D7P68A” Click here to cancel reply.